This conversation has been compensated by Girl Scouts of North East Ohio. All opinions are mine alone. One of my favorite things about Girls Scouts are the fun adventures outside of the troop meetings! Girl Scouts of North East Ohio offers a slew of hands-on events all year long. From cooking and coding to STEM and zip lining, Girl Scouts offers so much to help give our girls the tools they need to be confident women. 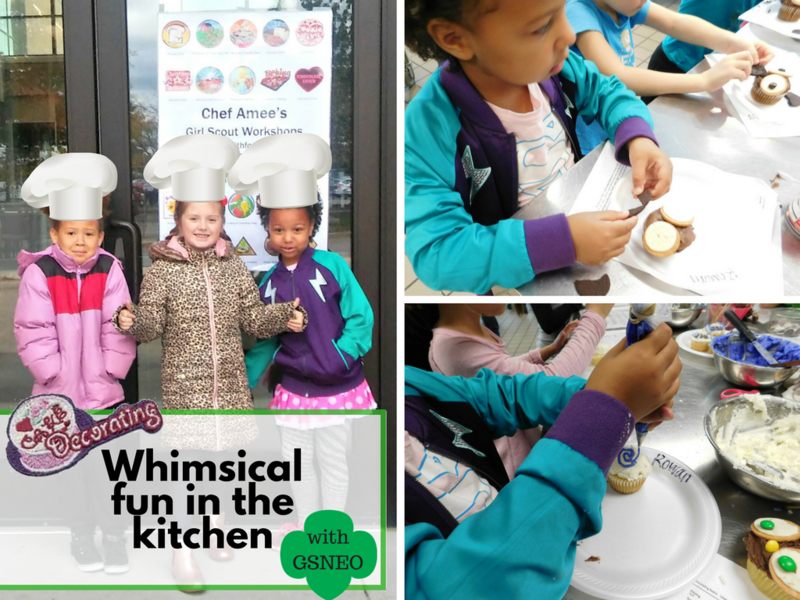 Today, we are sharing our latest adventure with the Daisy troop - Whimsical Cupcake Decorating with Chef Amee. Not knowing what to expect, the girls were in for a real treat! They got to decorate three cupcakes with a Halloween theme! 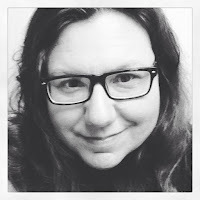 Chef Amee offers several classes with the North East Ohio Girl Scouts and girls earn a badge for participating. Since there were many girls, from several troops all over Ohio, each group had ten girls. This gave girls a chance to mingle with other troops. Our Daisy troop had ten so we stuck together. There were three activity stations, each with two projects for the girls to do. Our first station was making frosting and decorating owls. Five girls worked on frosting while five girls decorated cupcakes. My Daisy loves butter frosting and got the opportunity to help prep the butter for the frosting. I'm surprised she didn't pop some butter in her mouth as a snack. The girls also learned about what fondant is and how to make witches legs with it! And, Chef Amee taught the girls to decorate using a pastry bag. The started by writing with a small round tip and graduated to using it to make spiders on webs. While the girls decorated with fondant and made spider webs, the other groups of girls looked at baking tools and learned about different types of baking decorations. We ended our morning together with a friendship circle. Are you a looking for a troop in Northeast Ohio? 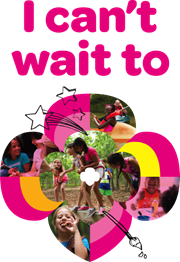 Take a look at what Girl Scouts has to offer!